The decision by the Knesset comes the same day as an EU requirement to label goods made in the occupied territories. The Israeli Knesset is one step closer to approving a bill prohibiting activists in the boycott, divestment and sanctions movement (BDS) from entering the country. The move comes the same day as the European Parliament passed a measure requiring all products produced in the occupied territories to be labeled, which could help the BDS movement. 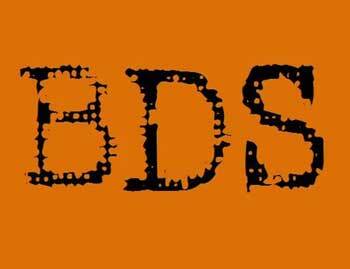 The BDS movement began in 2005 after a Palestinian civil society call until Israel ends its occupation, recognizes the equal rights of Arab-Palestinian citizens of Israel and respects the right to return of Palestinian refugees. Its academic, consumer and cultural boycott has been gaining increased attention recently, and United Nations figures show that foreign direct investment in Israel dropped by 46 percent last year. Still, the bill that would “prevent individuals or representatives of companies, foundations or organizations that call for boycotting Israel from advancing their ideology on Israeli soil” is supported by the governing coalition and 25 other representatives. Though the draft may still undergo revisions, it currently allows the interior minister special authority to issue visas or permits in exceptional cases.